Have you ever thought about how we use language on a daily basis and how language varies from person to person and place to place? If so, this course will give you a fascinating insight into the language we tend to take for granted; it is an exciting and thought-provoking course that will allow you to discover more about language use in the world around you. The course is separated into four areas: ‘Language Variation’, ‘Child Language’, ‘Crafting Language’ and a ‘Language Investigation’. Under these areas, you will investigate a wide range of texts and data, such as text messages, spoken language, texts written by children and data collected about the way specific groups use language. The course also enables you to be creative in your own use of language, with opportunities to create your own texts, investigations and discursive essays. The course also enables you to be creative in your own use of language, with opportunities to create your own texts, investigations, discursive essays and opinion articles. 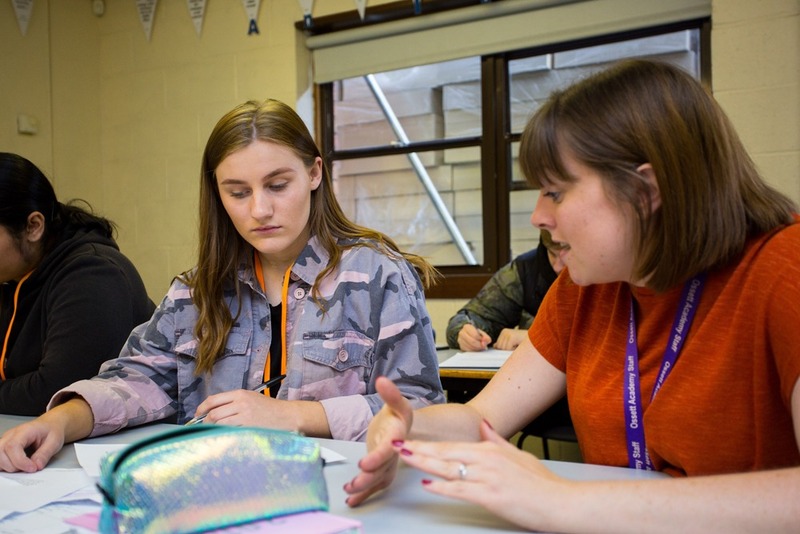 A good A Level in English Language is a valuable qualification for many different career/degree paths – an understanding of language and communication is key for any career that involves working with others or some use of writing skills, the list of which is infinite. It will also help you to become a more critical and evaluative thinker, a skill which compliments many other subject options and career/degree paths. Students who study courses in English will be given opportunities, if available, to visit lecture-style events at local universities with specialist linguists to support their learning. We are also developing partnerships across other A Level providers to offer specialist workshops on particular aspects of the course. Assessment is through two pieces of coursework (20%) and three exams totaling (80%). Examinations take place at the end of two years of study. 5 GCSEs at grade 5 or above. Students must have achieved grade 5 or above in English.